Still Nokia: While it was not sure for a while whether Microsoft would still sell devices made by the recently purchased company under its old name, the logo of the Finnish firm remains in place. 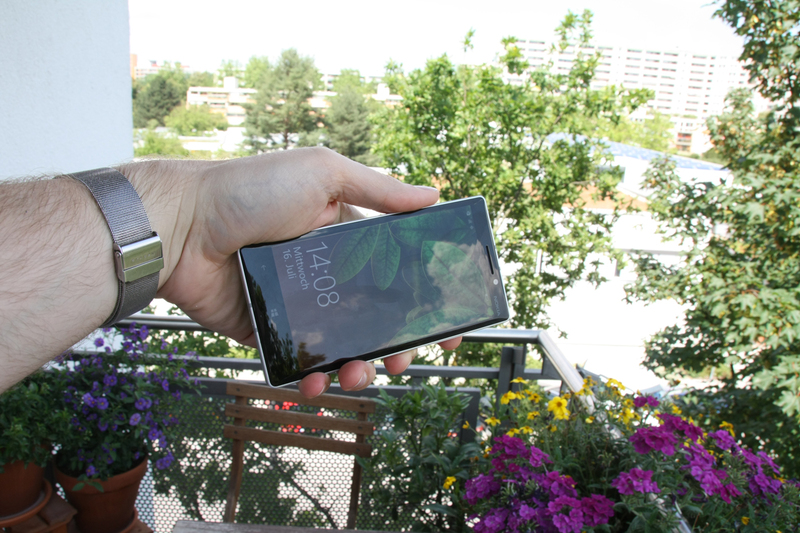 Still, a lot has changed with the Lumia 930. While its predecessors - the Nokia Lumia 920 and the Lumia 925 - offered high-tech, they were either a bit bulky or too understated, not reaching the impact they could have had. The Lumia 930 looks more elegant without missing out on typical Lumia virtues such as a choice of different (vivid) colors and great camera modules. The high-end device will have to compete with other top-notch Windows Phone devices such as the Lumia 925 (its predecessor), the HTC 8X or the Samsung Ativ S. Customers open to other operating systems will find even more alternatives: E.g. the Google Nexus 5, the Apple iPhone 5s or the Samsung Galaxy S5. The HTC's One M8, the Sony Xperia Z2 or the LG G3 would be even more viable flagship alternatives. 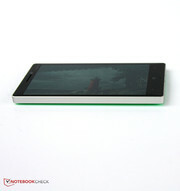 Great chassis: Made from metal, with curved glass and a colorful back (if desired). Metal rim, curved glass, even colorful back panels (if desired) - the case of the Nokia Lumia 930 has seen a complete redesign, looking quite different from that of the Nokia Lumia 920 or 925. We like the new look and see the change as an improvement since the cases of its predecessors may have been premium, but they did not always look the part: Many found the Lumia 920 to be too colorful and bulky while the Lumia 925 was often described as too low-key and understated. The metal frame is part of the metal unibody (made from just one piece) of the Lumia 930, into which the other parts are just inserted, being secured by either screws or adhesives. This leads to top-notch stability of the chassis: No matter how much pressure we applied, no image distortions or creaking noises could be observed. Only the keys at the right-hand side wobble a bit - it would not have hurt to have placed them more securely into the chassis. Build quality is top-notch in all regards: Everything fits together; no uneven clearances (or clearances at all) could be noted. The device feels great in the hand, offering premium haptics. The only tiny downside: The rear could be a bit less slippery. Otherwise, we do not know what to complain about. The Lumia 930 ships with neither swappable batteries nor a MicroSD slot (both can be had in many Samsung smartphones). 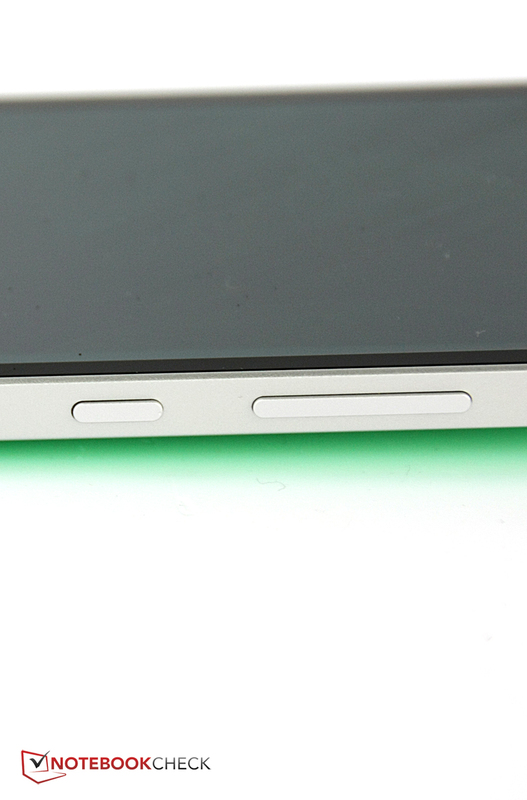 The hatch at the top is only there to accommodate the nano SIM. It is not easy to open the flap without long fingernails (tools might damage the metal frame), and even then, everything is a bit too stiff. This could be an inconvenience for all those who often swap their SIM cards. By the way, removing the SIM drawer reveals the label and thus the IMEI number when the hook at the bottom part of the SIM drawer is being employed to pull the label out. Due to the curved surfaces, the Lumia 930 has become a bit thicker once more (when compared to the Lumia 925), coming close to 10 millimeters, but still steering clear of the 10.7 millimeters the Lumia 920 had (~0.39 and 0.42 inches respectively). Its weight has increased, too, with regard to the previous generation: 170 grams (~6 oz) turns the Nokia Lumia 930 into one of the heaviest 5-inch high-end smartphones. Still, it is not too heavy, mostly thanks to its great feel in the hand. A service manual for the Nokia Lumia 930 can be found online. According to this source, the rear panel can rather easily be removed with a suction cup. Then, removing one Torx screw and loosening the connector makes it easy to swap the battery - while removing more Torx screws makes it possible to advance further into the case. Still, replacing the battery (or repairing other components) is not quite as simple since once removed, some parts cannot be used again. Thus, the right spare parts are required (and some special tools). Luckily, no parts are connected to each other using liquid adhesives, but then again, this increases the weight of the device - ten Torx screws alone can be found in the Lumia 930. 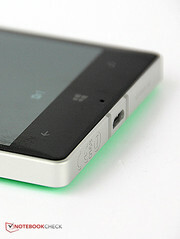 Many have criticized that both the Lumia 920 and the 925 shipped without a MicroSD slot for storage expansion. This may have been because Windows Phone 8 had a hard time dealing with SD card management, allowing for just a few usage scenarios. 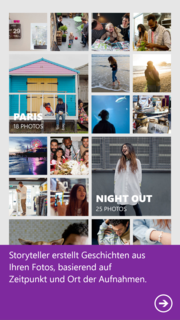 All of this has changed with Windows Phone 8.1 - and while it is now even possible to install apps on the SD card, Nokia once more decided not to include a MicroSD card slot. 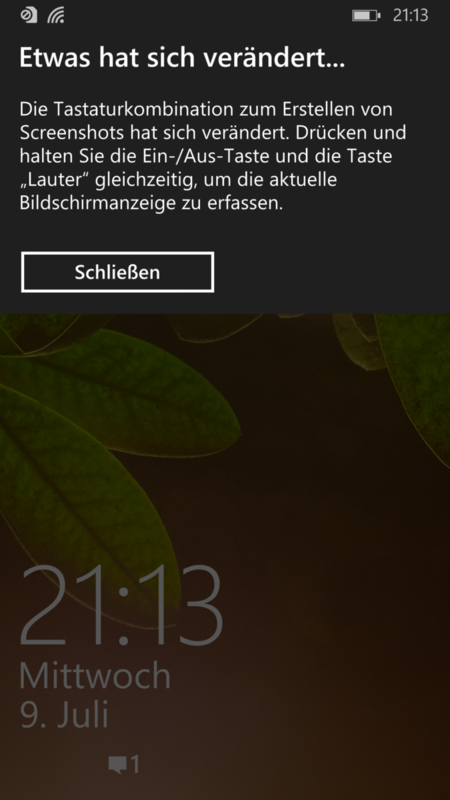 We do not understand this decision, but all those who truly need expandable storage on a high-end Windows Phone 8.1 device will have to choose the Samsung Ativ S.
At least, the Lumia 930 ships with 32 GB of storage for all customers (the Lumia 925 restricted this amount to Vodafone customers). This should be enough to stay afloat for quite some time, especially since Microsoft has started to offer 15 GB of free cloud storage on its "One Drive". 2 GB of RAM and the not-anymore-groundbreaking, but still very powerful, Qualcomm Snapdragon 800 MSM8974 SoC should lead to more than sufficient performance levels. 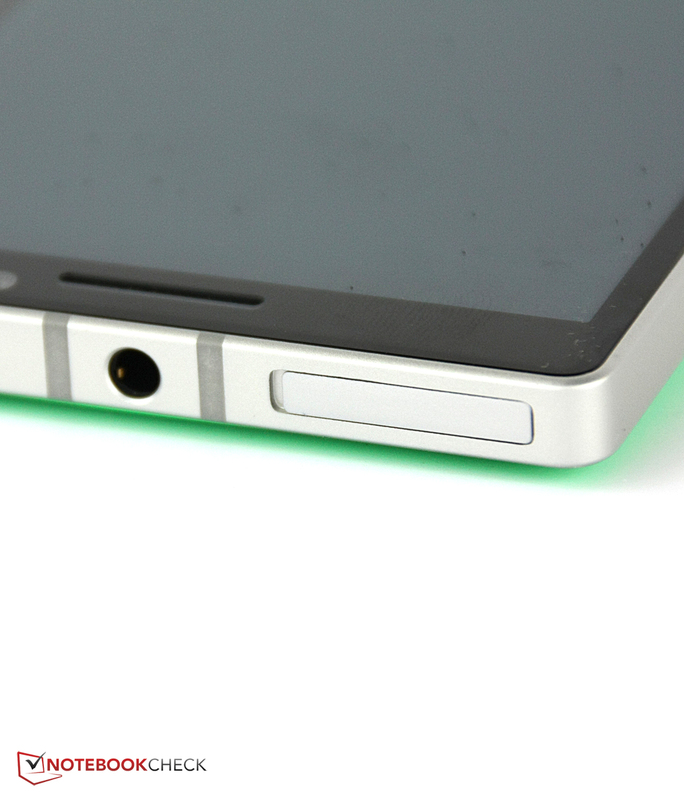 In addition, the Lumia 930 supports wireless charging for all those who own a Qi-standard charging station. Left hand side: No ports. Right hand side: Camera button, standby button, volume rocker. Top: SIM slot, combined Line In/Out. Windows Phone 8.1 ships with a number of long-awaited features including the new notification center, yielding quick settings and app notifications accessible by swiping down from the upper edge of the display. While this has long been a standalone feature of Android (and later also iOS), this functionality is finally available for Windows Phone, too, working in pretty much the same way as with the other operating systems. The apps are now easier to find, searching by their first letter, and there are enhanced management options for both storage space and battery consumption. 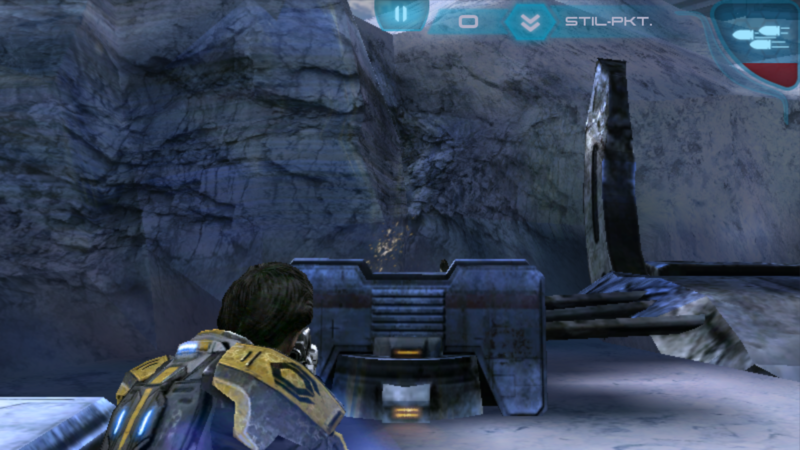 The start screen offers more colors, more background pictures and rows of icons. Some integrated functions such as the calendar have been turned into stand-alone apps, offering their information to other apps (there is an API which can be accessed by developers). All in all, the new update turns using the OS into an even smoother and more intuitive experience. Moreover, Microsoft can take pride in releasing an almost bug-free update (even when talking about the preview version). Nokia has added even more to the OS by including a spam filter for calls and SMS, an equalizer, color profiles for the display and more. 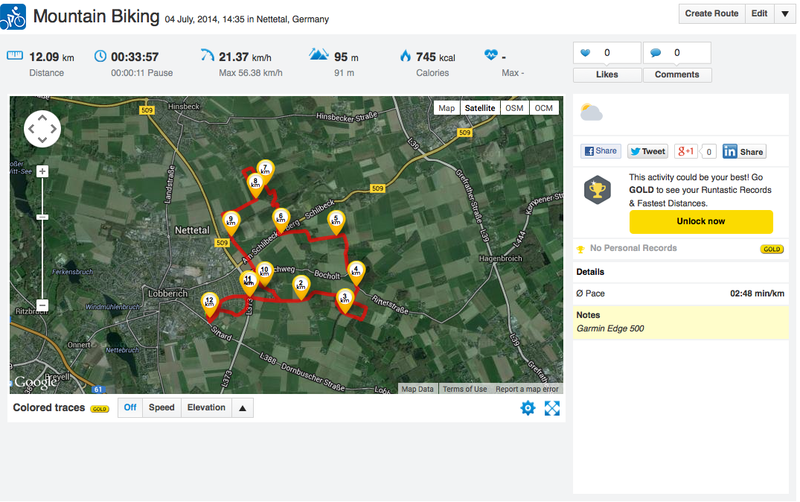 Additional apps include Here Drive +, navigation software that works offline as well, offering maps for 95 countries. While it does not come with tons of extra features, it works reliably (making for a more-than-decent navigation app) and does not cost a dime. 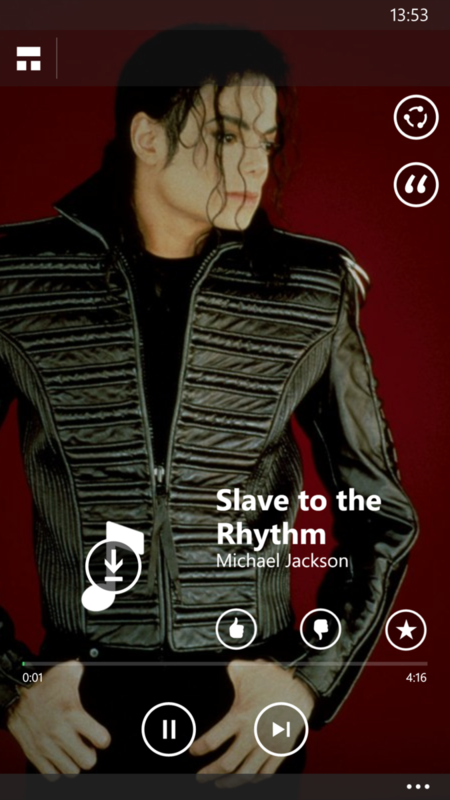 But this is not all: Nokia Mix Radio offers thousands of rock and pop songs for free. Choosing one performer starts a customized radio stream based on one's preferences. Mix Radio is an exclusive function of Lumia devices. 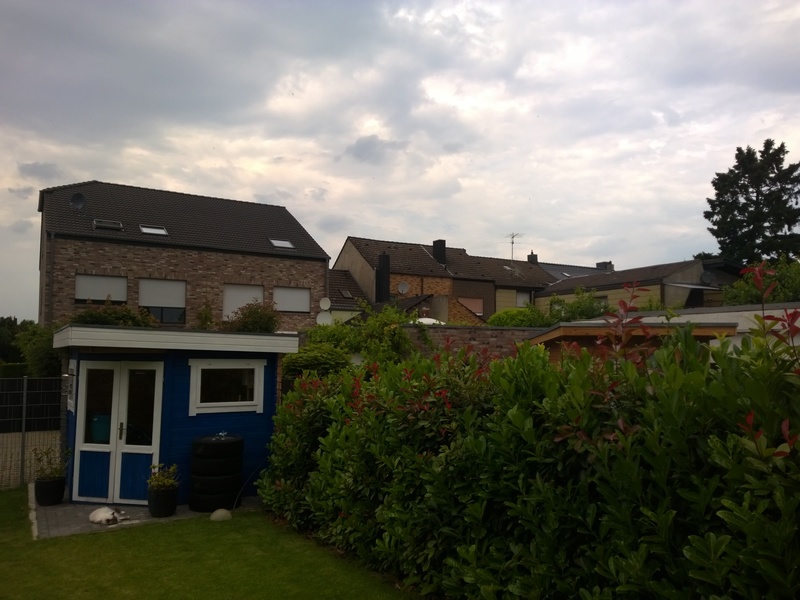 Then there is a special camera app (which we will examine in more detail further below), a number of image manipulation apps and filters and a specialized "App Social" store. 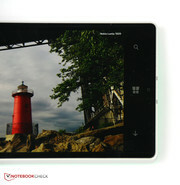 It is obvious that Nokia puts a lot of effort into creating good reasons to buy a Windows Phone device made by Nokia. All of Nokia's free apps are useful and well made. 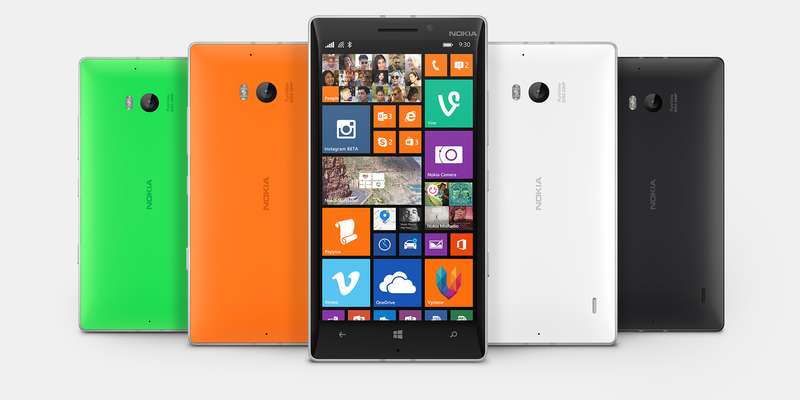 The Nokia Lumia 930 comes with a Wi-Fi module supporting the fast 802.11 ac standard, Bluetooth and NFC. The mobile radio offers four GSM frequencies, four UMTS frequencies and five different LTE bands, with the connection adhering to the Cat. 4 standard allowing for download and upload speeds of up to 150 MBit/s and up to 50 MBit/s respectively. The reception quality of the Wi-Fi module is decent, with 3 out of 4 bars at a distance of ten meters (~33 feet) to the router (and through three walls) and 2 out of 4 bars with a further two meters (~6.6 feet) and another wall in between, yielding slightly slower browsing speeds. The WWAN works well and reliably. Even one of the weaker nets (E-Plus) yielded good UMTS reception amongst many streets within larger cities. LTE could not be tested due to insufficient availability. In terms of navigation, the smartphone is actually capable of using three different satellite systems, ranging from GPS (USA) and Glonass (Russia) to Beidou (China). When comparing both the Nokia Lumia 930 and a professional navigation device (the Garmin Edge) while out on a bike trip, the Garmin device takes the top spot, with better precision, for example, around a bridge. 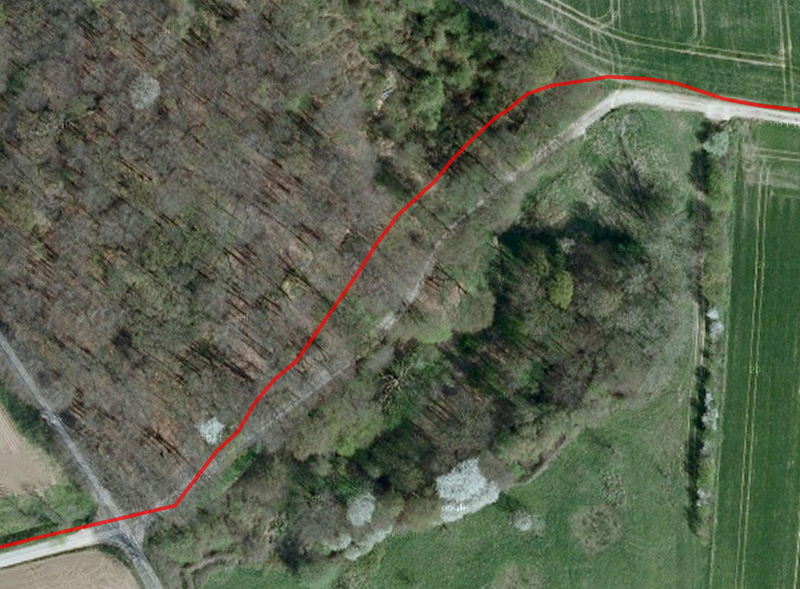 In addition, while the Lumia 930 does note the curves, it loses its connection once we enter a forest, with a straight line connecting the two location markers at the beginning and the end. 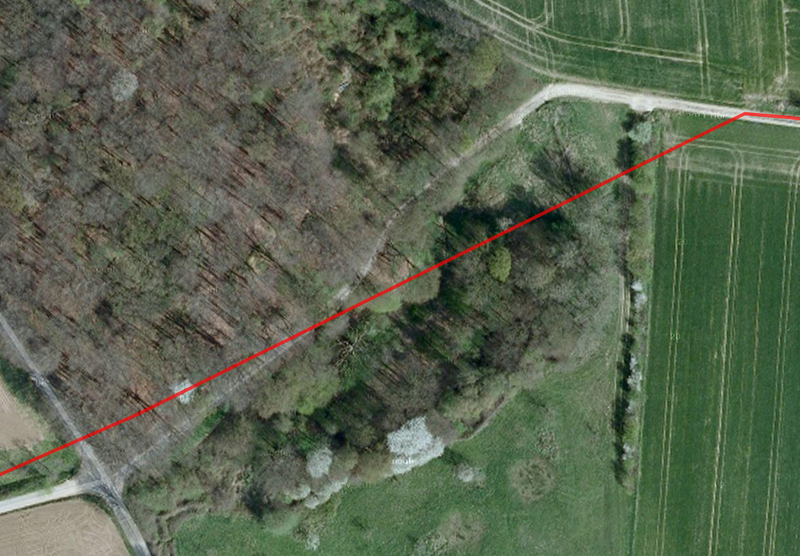 Nice: Both measure approximately the same total length of the trip (with a discrepancy of just 50 meters; 164 feet). 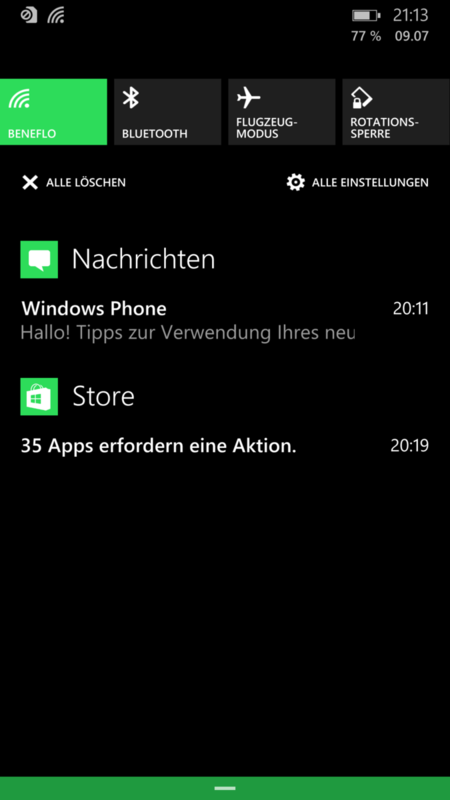 The telephone app has seen some improvements with the introduction of Windows Phone 8.1, and Nokia does not change anything about that: The start screen of the app is the list of recent calls - a sensible choice given that it will soon fill with the people most often contacted. Swiping left or right yields the quick dialing menu, which can be filled with contacts from one's contact list. Below the lists, four symbols can be found, with the first one calling the mailbox, the second opening the dialer (large buttons, not much clutter), the third opening the telephone book and the fourth searching directly for numbers or contacts. Calling someone can now be done by tapping on his or her name instead of having to hit the icon next to it - a welcome change. 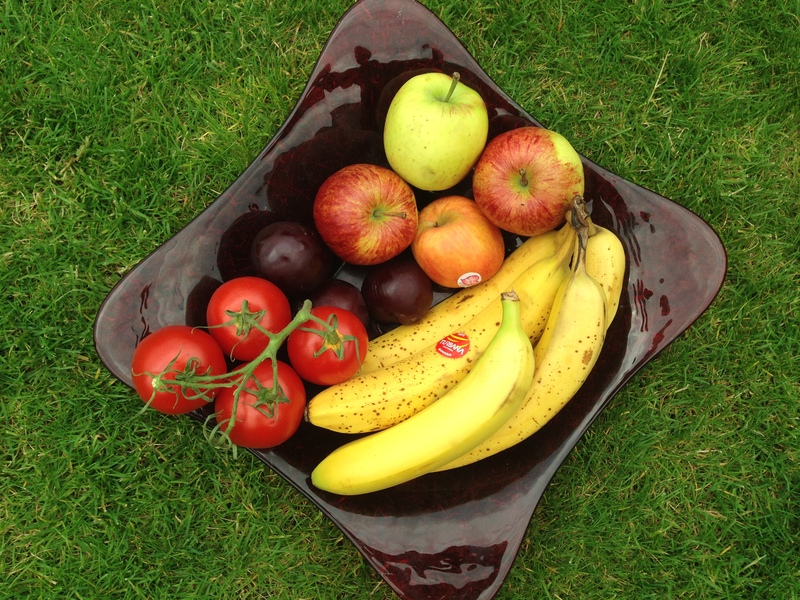 The telephone app looks very clean and quickly becomes very intuitive to use. Although Android and iOS may offer more extra functionality (due to their increased maturity), there was nothing we missed on first glance. Speech quality is great, both when using the internal speaker and the speakerphone. Clarity, volume, everything was as it should be. Even suppression of background noise worked well at most times, and the person on the other end confirmed that we were easy to understand. One of the greatest assets of Nokia smartphones is their excellent cameras, ranging from the specialized camera phone Lumia 1020 to the also pretty good snappers of the Lumia 920 and 925. The camera in the Nokia Lumia 930 comes with 20 megapixels, new optics made by Carl Zeiss, six lenses and a comparatively large 1/2.5-inch sensor, including an aperture of f/2.4 and a focal length of 26 millimeters. 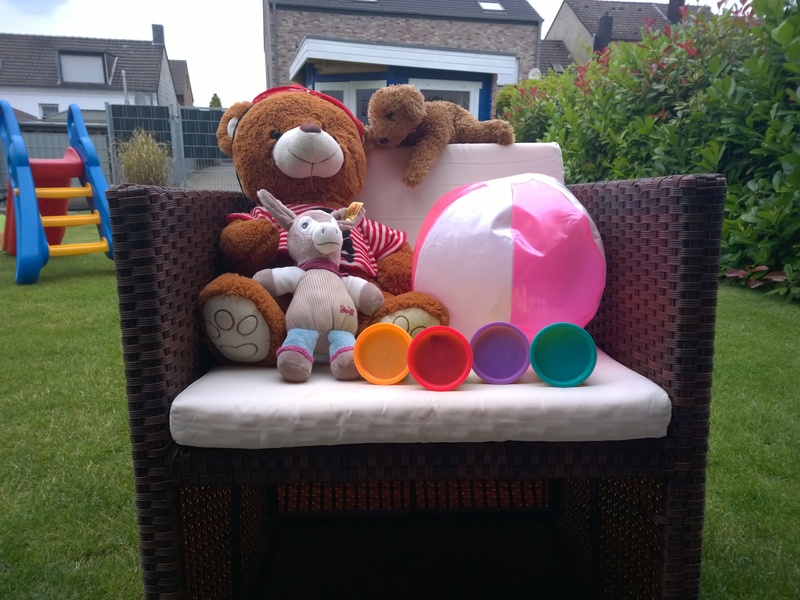 The aperture is a little less than with the Lumia 925, yielding slightly less sensitivity, but more sharpness and less danger of overexposure under bright lighting conditions. 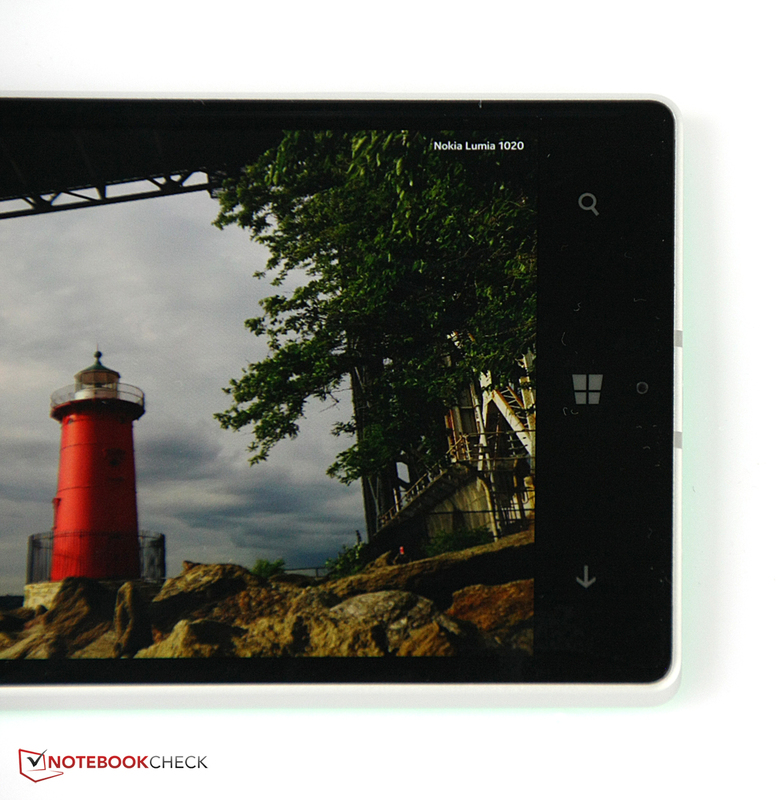 Apart from the much higher resolution, the specs are pretty close to those of the Lumia 925. So what about image quality? 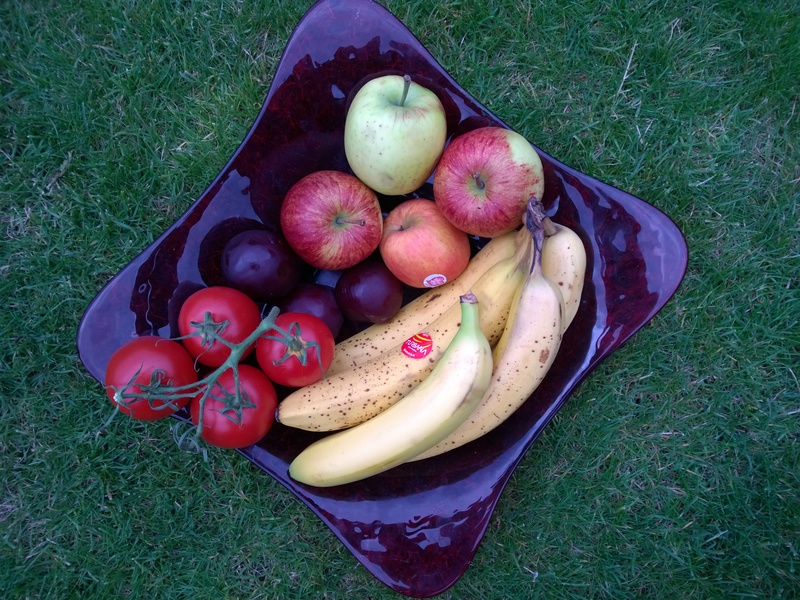 Indeed, pictures are sharp, with good color accuracy and a lot of detail. The automatic white balance is not always spot on (a bit too cool) and very bright areas tend to blow out (as they did with the Lumia 925). This may be due to the high minimum ISO value of 100. Nokia automatically uses a slightly higher value than normal in order to make it easier to take good shots in near-darkness. 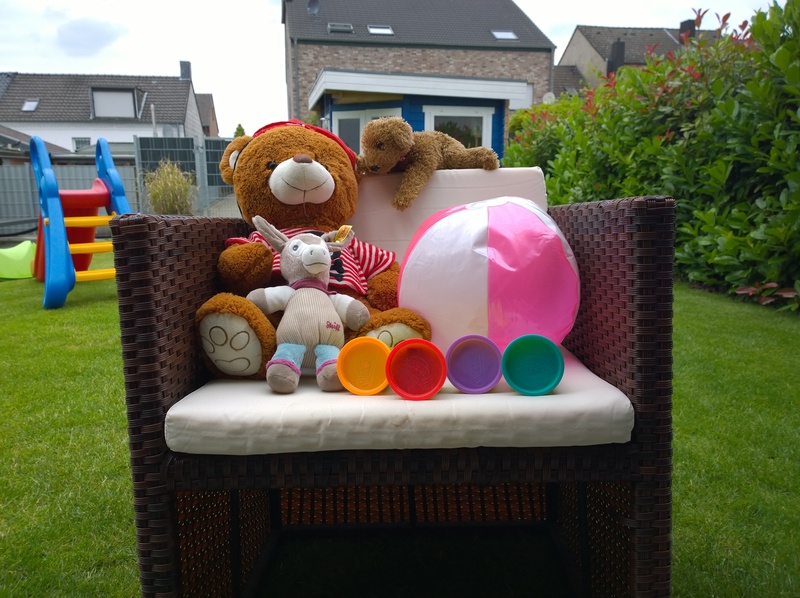 The pictures taken by the Nokia Lumia 1020 offer sharper edges, and of course, all photos made with a DSLR offer more detail and more sharpness still. All of these "issues" are no real weaknesses. Unless zooming in all the way when looking at the results, all photos are very sharp, come with a lot of detail, are well lit and offer (mostly) good color accuracy. In low-light situations, pictures are almost as good as if taken with a flash, although the preview picture is quite grainy and it takes a steady hand to capture such a shot. The front camera suffices for selfies and video calls. Details tend to be a bit grainy so that photos taken by this shooter should only be used on-screen or for social media. The camera software made by Nokia is very easy to use, although switching from the rear camera to the front camera is a bit too complicated. Most other settings (ISO value, white balance, etc.) are easy to reach while still offering a lot of functionality ranging from exposure series' to timers and creative or beautifying post-processing apps such as "Nokia Creative Studio" and "Nokia Glam Me". When looking at the accessories, the lower price point in comparison to other high-end smartphones becomes more noticeable: Next to a microUSB cable and a power adapter, nothing can be found in the box, not even a headset. 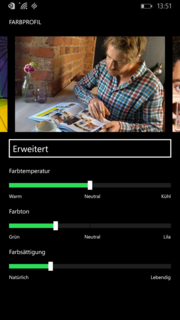 The Lumia 930 does, however, ship with some bonus content, such as 25 Euros (~$34) for the Microsoft Store (at least when one is among the first customers), and - in German-speaking countries - six months of access to Maxdome, an online video streaming provider. 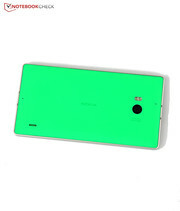 Some accessories can be found on Nokia's website, but none of these has been built explicitly for the Lumia 930. External speakers, wireless charging stations, a smartphone mount for one's car and similar items. 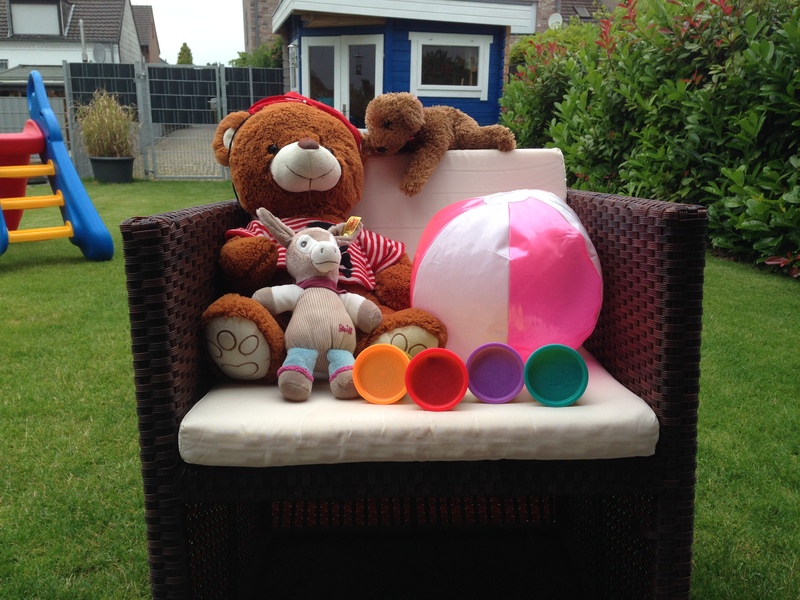 More interesting is the so-called Treasure Tags, which can be fixed to personal belongings, making it easier to retrieve them via acoustic and visual signals - and the exact location can be seen on the smartphone via a map. Nokia offers 24 months of warranty on the device and 6 months of warranty on the battery, the cable and the power adapter. After any repair process, at least 60 months of warranty remain. At first glance, one might be in doubt whether the decision to use a slightly curved touchscreen does not reduce its precision. 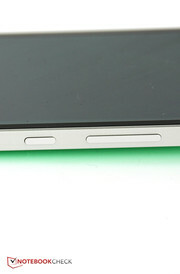 Luckily, this is not the case: Even at its edges and in its corners, the touchscreen is very precise. The multi-touch gestures require stronger presses on the screen for the device to accurately register a tap, at least from time to time. 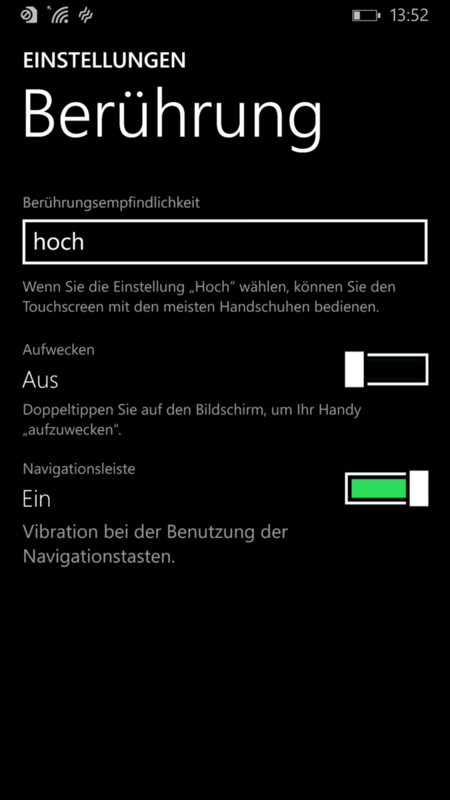 The settings menu contains a special "touch" option that allows the sensitivity of the screen to be increased. When set to "high", it is actually possible to navigate the UI with (thin) gloves on. In addition, one can choose to bring the smartphone back from standby mode by a simple double tap on the screen. The virtual keyboard cannot be swapped against a different one (this is already possible with Android and will soon be an option for iOS). Still, we do like Microsoft's standard keyboard a lot. We were able to type quickly and the word prediction improved noticeably the longer we used the device, e.g. predicting one's surname as soon as the first name was typed. 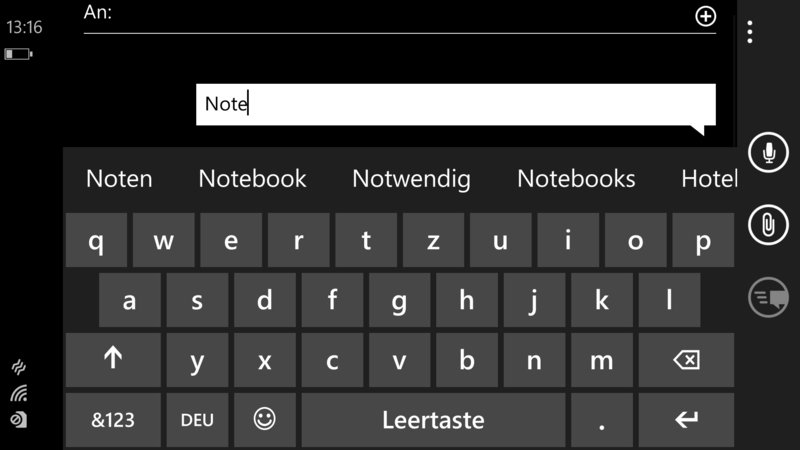 Since Windows Phone 8.1, the keyboard comes with swiping functionality, allowing the user to swipe instead of tapping. This works quite well, although, for example, umlaut in German sometimes requires one to choose the right word among the predictions. A large variety of emoticons can be had, too. 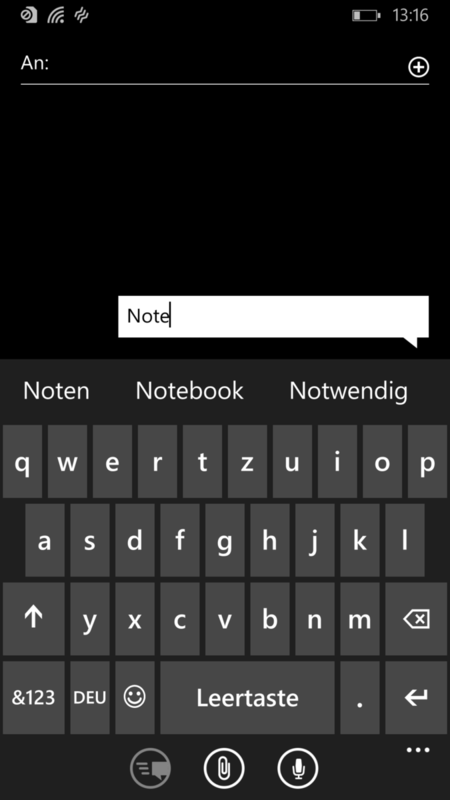 In order to change parts of a text, tap-and-hold marks single words, although we think that the cursor is not as intuitive to use as with Windows Phone 8. Windows Phone 8.1 also allows manufacturers to use software navigation buttons directly on the screen, but Nokia stays true to the usual three touch keys ("back", "home", "search") below the display with the Lumia 930. They work reliably. The hardware buttons (volume, standby, and camera) can all be found on the right-hand side of the smartphone, offering well-defined pressure points. As already mentioned, they wobble a bit, but this does not reduce their premium feel by too much. 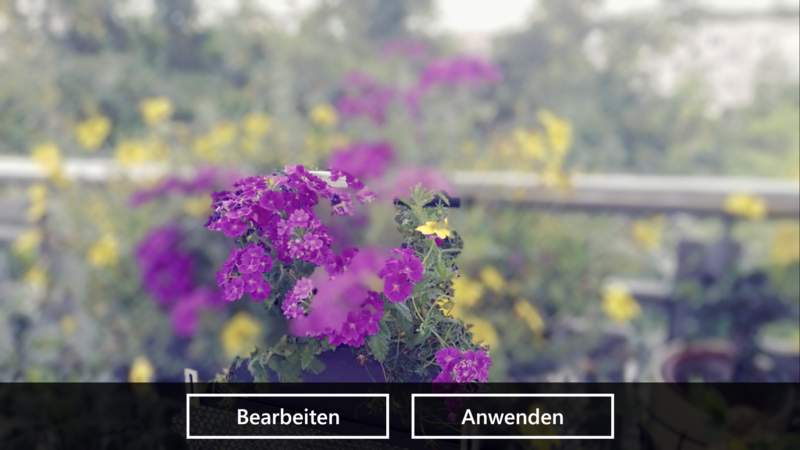 The camera button offers two pressure points (autofocus and then shutter), and when it is pressed for a second or so, the camera app starts even when the phone is in standby. 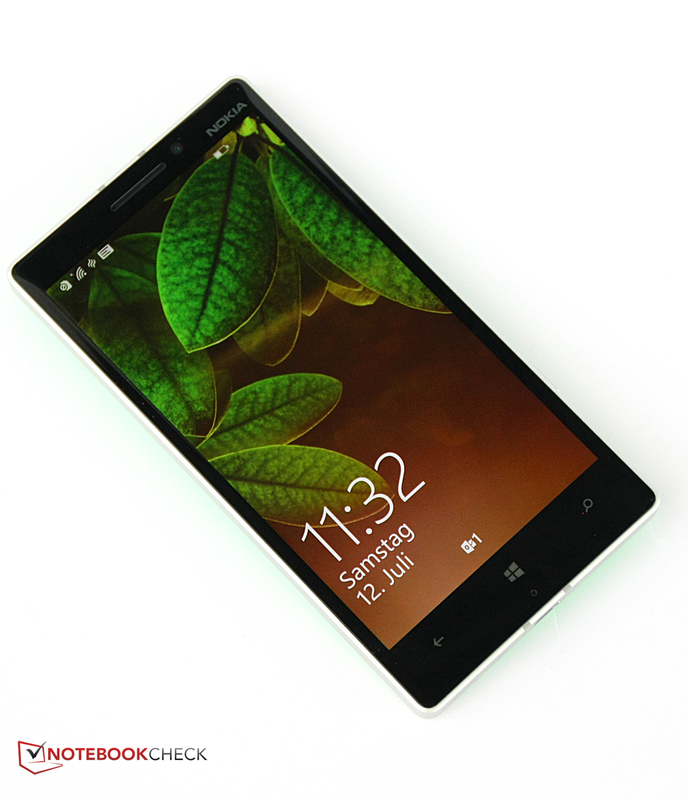 The display of the Nokia Lumia 930 measures 5 inches, having grown by 0.5 inches when compared to its predecessor. The resolution has made a jump, too, with Nokia finally offering Full HD on its flagship, yielding a pixel density of 441 ppi (instead of the 334 ppi of the Lumia 925). The display is protected by a layer of Gorilla Glass 3, and luckily, it seems to come with a rather effective anti-smudge coating, making it easier to clean as well. 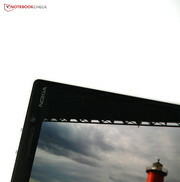 Nokia uses an OLED display yielding superior blacks and vivid colors while offering not-quite-as-great brightness levels (which may fall further when the display gets older). Our test device comes with an average brightness of 278.2 cd/m², slightly less than its predecessor. The HTC One M8, on the other hand, manages to reach 485.7 cd/m² thanks to its SLCD display. Brightness homogeneity is slightly subpar for a smartphone display at 89 percent, but still, we were not able to notice any differences in brightness with the naked eye. 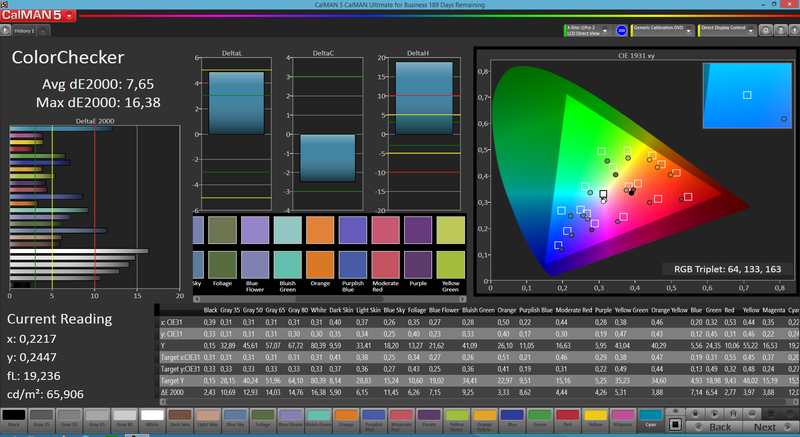 The contrast ratio is one of the greatest strengths of OLED displays because they come without background lighting, being able to offer "true" blacks. Thus, the black levels of our test device come down to 0 cd/m², yielding an infinitely high contrast ratio - increasing the vividness of all colors in the process. 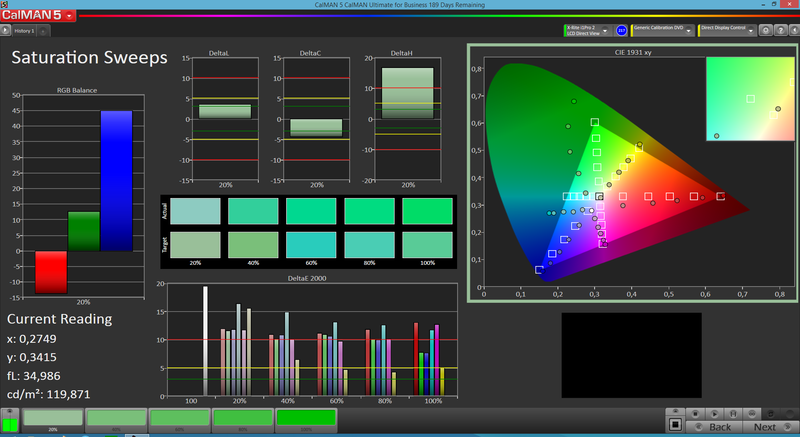 Several color profiles can be found in the settings menu, allowing one to customize the way the display looks. 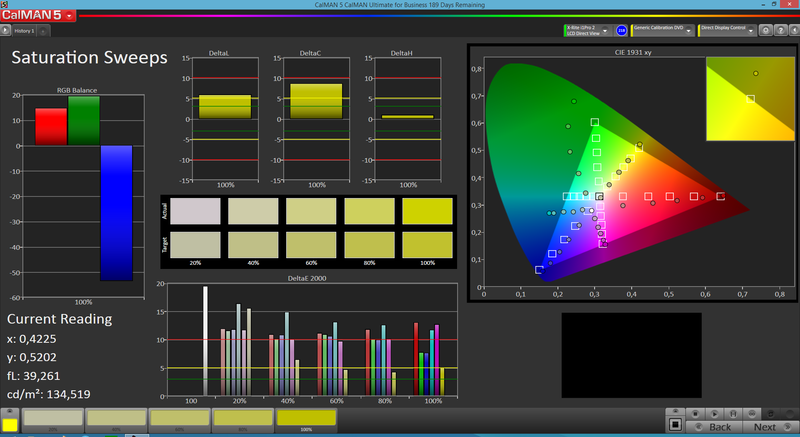 There is even an extended mode enabling even more detailed changes of the color profiles with a number of sliders. 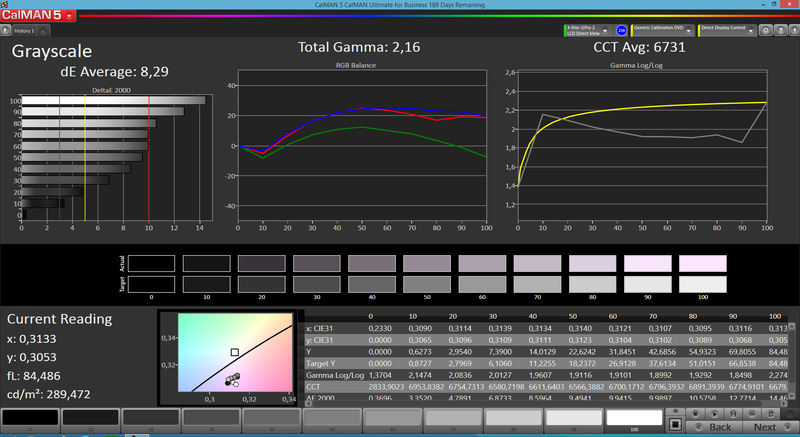 Our measurements with the colorimeter and the CalMAN software yield just average color accuracy of the screen - at least in factory condition. Noticeable deviations from the reference color space sRGB can be observed, especially with a bluish tint for whites (reds and yellows are rendered pretty accurately). The three color profiles do not do much to change this situation, with the smallest (yet still rather high) deviation in the "standard" mode. Still, this has no real effect on daily usage, especially since all of this can be rectified manually. However, those who work with the Photoshop Express app or want to show videos to customers, for example, might want to keep these deviations in mind. The display of the Nokia Lumia 930 is pretty readable even in direct sunlight, and even though its maximum brightness levels are average at best, with a glossy display on top. Why is this? 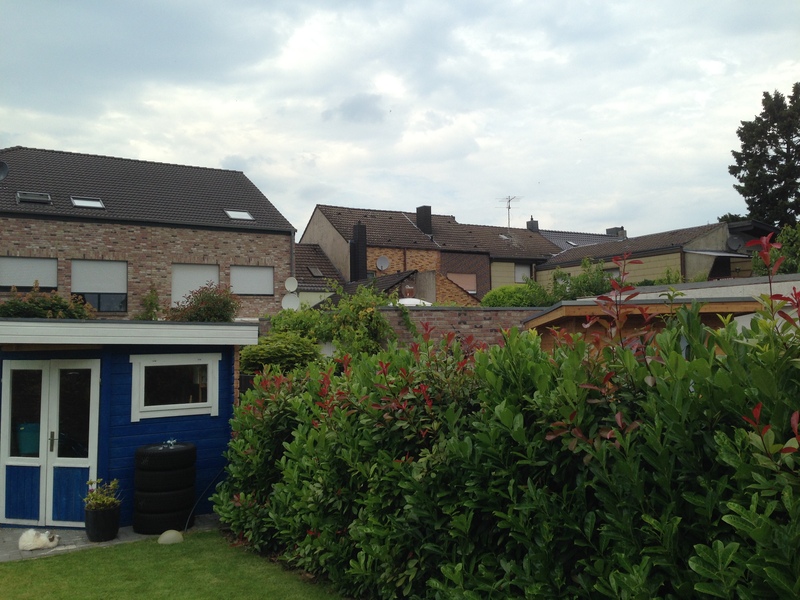 One "culprit" is the high contrast ratio, which increases the separation between bright and dark areas, but the other is caused by a special Nokia algorithm: Whenever the brightness sensor registers direct sunlight, some display parameters are changed, yielding maximized outdoor readability. Despite all this, the highly reflective Gorilla Glass is still a nuisance under bright conditions, making it strenuous for the eyes to focus on the display for long stretches of time. 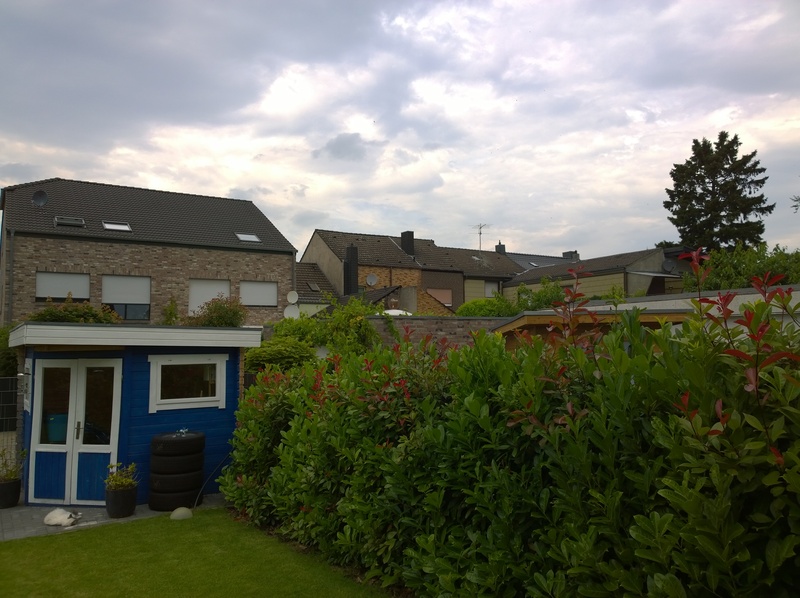 Thus, it might be prudent to stay in the shade if using the Lumia 930 for more time-consuming tasks - although it would still be feasible to use it in the sun. OLED displays tend to offer great viewing angles, and the Lumia 930 is no exception to this rule: Even from extremely narrow angles, the picture remains as bright as from straight above. No matter how the device is tilted, the results are always great. Many benchmarks are not (yet) available for Windows Phone 8.1, which is why we are only using browser-based benchmarks plus a GPU test app. Generally speaking, there is little reason to complain. The Qualcomm Snapdragon 800 MSM8974 with its four cores and its clock speed of up to 2.3 GHz is fast enough for typical real-life tasks. 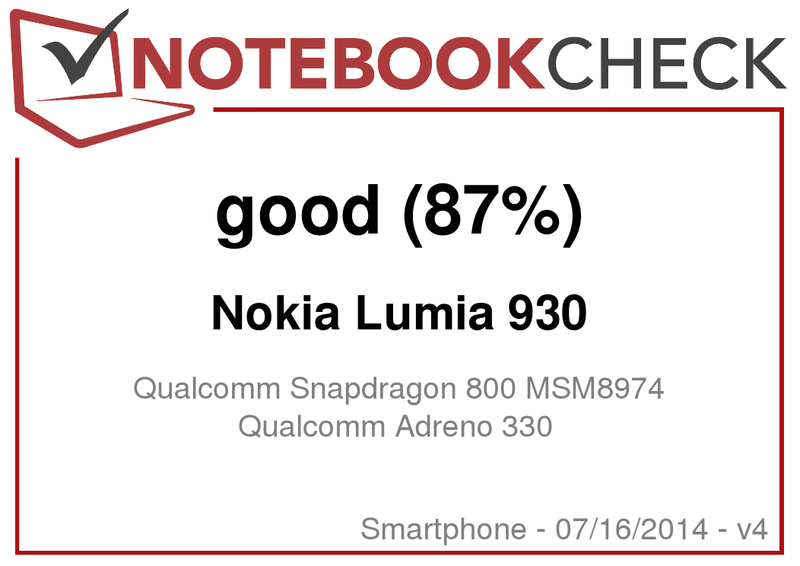 But since it is not the newest of all CPUs, the Nokia Lumia 930 does have to cede the top spot to others, such as the Samsung Galaxy S5 or the HTC One M8 that use the slightly-improved Snapdragon 801 chip, which comes with higher CPU and GPU clock speeds as well as some minor improvements (being an intermediate step in between two GPU generations). Still, navigating the UI feels very smooth at all times. Plus, we have not found a single app for which the Snapdragon 800 would have been too slow. Thanks to its 2 GB of RAM and four cores, listening to music (for example) causes no drops in terms of performance levels while simultaneously using another app, or even when a lot of apps are open in the background. The GPU is an Adreno 330 clocked at 450 MHz. With this graphics card, the Nokia Lumia 930 is way ahead of the Nokia Lumia 925, but it falls behind when compared to current high-end Android smartphones. Real-life results while gaming will be described further below. Even though alternative browser such as "Firefox" or the "UC Browser" can be found in the Store (together with some more alternatives), the "Internet Explorer" has been integrated tightly into the system so we will use Microsoft's choice for our browser benchmarks. The overall results show that the Nokia Lumia 930 cannot compete with recent Android devices or the iPhone when it comes to browser speed. It does beat, however, both the Lumia 925 and the Samsung Ativ S, turning the Lumia 930 into quite possibly the best Windows Phone device for browsing the web. During actual use, we had no problems at all - even HTML5 pages did not take long to render. Page loading times (via Wi-Fi) were great at all times, never giving us the feeling that we constantly had to wait for the browser. Thus, even though it is a less powerful browsing device than some other recent high-end flagship smartphones, this should rarely be felt in real life, if at all. 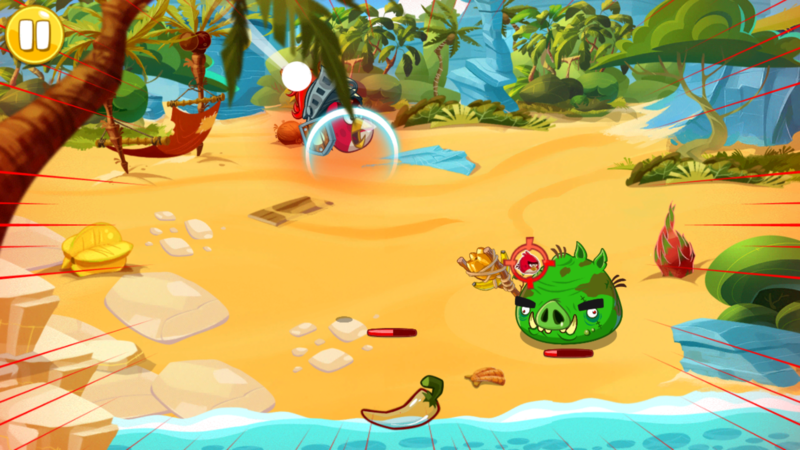 All games from the Microsoft App Store are a lot of fun on the Nokia Lumia 930. This is due to not only the powerful GPU, which barely ever breaks a sweat for high-end Android games, but also due to the precise touchscreen and orientation sensor that makes it easy to control all the action with the necessary finesse. 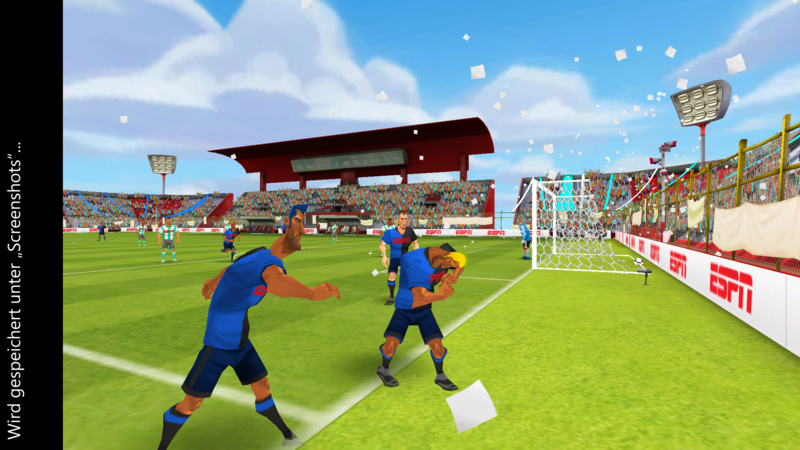 We tested some of the most popular and demanding games from the App Store: "Disney Bola Soccer" (a fast soccer game), "Mass Effect: Infiltrator" (a graphically demanding 3D game) and "Angry Birds Epic" (a more low-key 2D RPG). 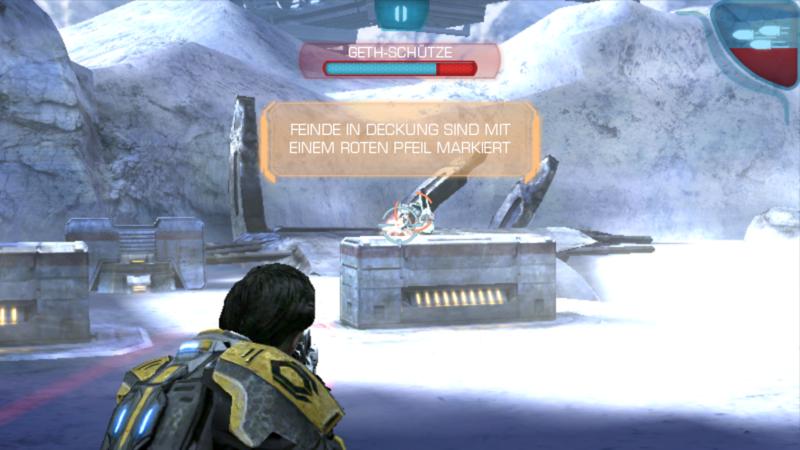 All games run smoothly with no stuttering at all - not even due to the superb 3D graphics of "Mass Effect: Infiltrator". In terms of heat emissions, both predecessors - the Nokia Lumia 920 and the Lumia 925 - had some issues: While their temperature levels when idle were still acceptable, they got much too warm under full load. The Nokia Lumia 930 is not entirely different in this regard, reaching up to 48.8 degrees Celsius (~120 Fahrenheit) at its back. That is pretty close to actually being "hot", which would make it problematic to actually touch the device. This problem is even worse for the surrounding metal frame, which heats up quickly. Luckily, such extreme values are only reached under artificial full loads. Even when gaming for a long period, the Nokia Lumia 930 never got exceedingly warm. Still, even while idling, there is some excess heat, and more so than with the other devices we mentioned. Up to 33.2 degrees Celsius (~92 Fahrenheit, close to the earphone) may not be great, but these temperatures are still okay. Overall, the heat emission may not be problematic in real-life usage, but they are close to becoming unacceptable. It might be prudent to have a closer look at heat management once Nokia starts to design its next flagship. (-) The average temperature for the upper side under maximal load is 40.9 °C / 106 F, compared to the average of 33 °C / 91 F for the devices in the class Smartphone. (-) The maximum temperature on the upper side is 45.7 °C / 114 F, compared to the average of 35.5 °C / 96 F, ranging from 22.4 to 51.7 °C for the class Smartphone. (+) In idle usage, the average temperature for the upper side is 31.7 °C / 89 F, compared to the device average of 33 °C / 91 F.
The speaker is located at the rear of the device, looking a bit tiny on first glance. Still, its sound quality is impressive. It gets quite loud (without any distortions, even at maximum volume! ), and it is quite balanced. Of course, bass is not very strong, but given that this is "just" a smartphone, we were quite happy with the way the speaker sounds. Still, the HTC One M8 takes the crown due to its elaborate sound design. On the other hand, the Samsung Galaxy S5 and the Sony Xperia Z2 fare a bit worse, at least to our ears. 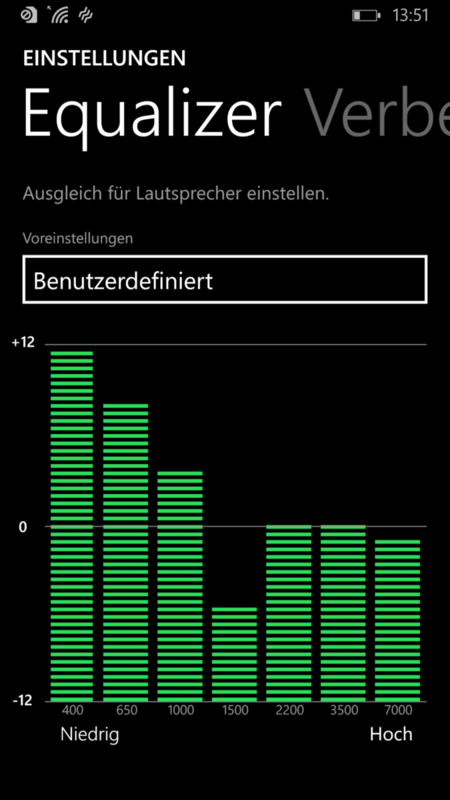 Great: Nokia finally allows us to customize the sound experience according to one's own taste and preferred music genres by adding an equalizer (including some preset modes). And indeed, it makes a lot of difference which profile is chosen. 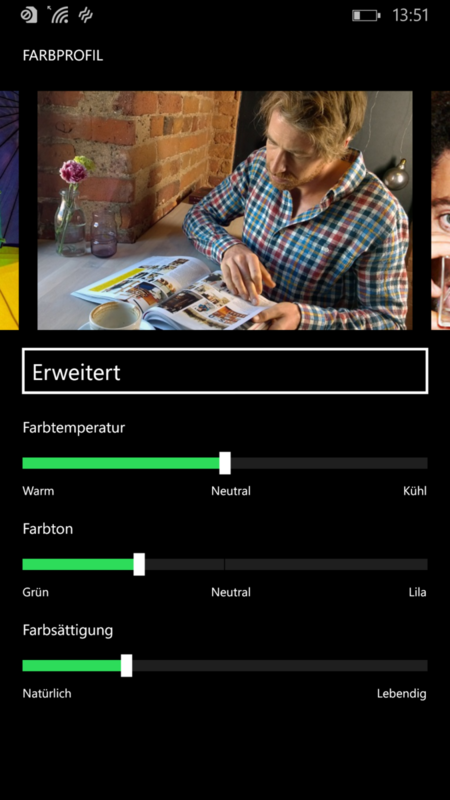 It strikes us as odd that the Nokia Lumia 930 gets so warm even though it does not actually draw a lot of power. The modern SoC works a lot more efficiently than the ones used by its predecessors. Especially while idling or under light loads, the power consumption is far less than that of the Nokia Lumia 920 or the 925. 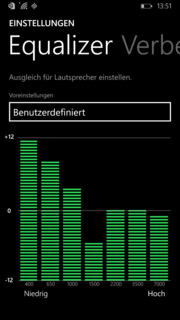 The Lumia 930 draws at least 1.1 Watts when it is turned on (but left idle), with a maximum of 1.8 Watts - with the exception of the Samsung Ativ S, less than any high-end Windows Phone device, but still more than Android devices or the Apple iPhone 5s. This gap narrows when it comes to the average power consumption levels under load. Overall, the Nokia Lumia 930 is one of the less power-hungry Windows Phone devices, but it cannot quite compete (yet) with other operating systems, which sometimes only need half as much power. Its predecessors already offered great battery life, but still, the Nokia Lumia 930 actually manages to trump those devices. 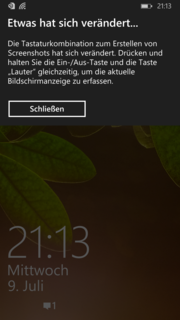 One note concerning the measurements: Windows Phone 8.1 offers no option to keep the screen on at all times - when the device is not used, standby mode is activated very quickly. Unfortunately, there are also no apps keeping the screen on by artificial means, we have had to manually prevent the lock screen from activating, keeping the screen on for four hours (for both the idle test and the Wi-Fi test), extrapolating battery life from the measured results. With this test, we reach an idle battery runtime (Wi-Fi on, all other wireless off, minimum brightness, energy-saving profile active) of 23:07 hours, almost an entire day. During our Wi-Fi test (one new website being opened automatically every 40 seconds, with the display brightness set to approx. 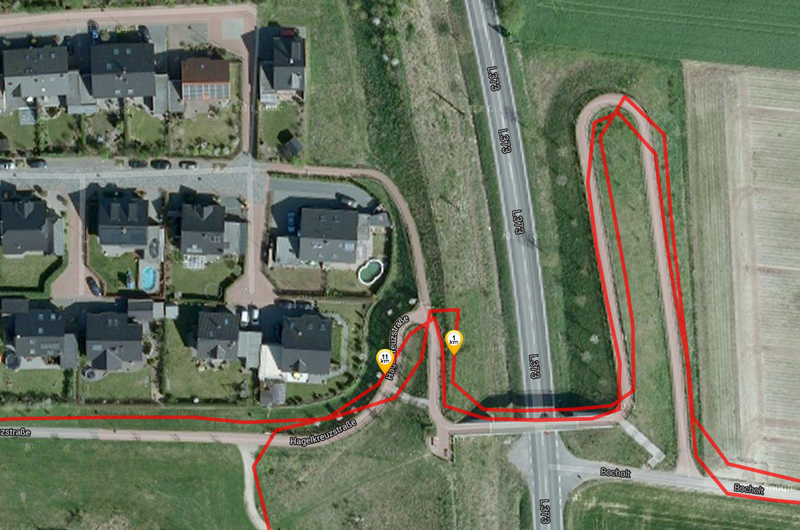 150 c/m²), 16:42 hours were measured. Under full load, 2:55 hours remain. Concerning browsing over Wi-Fi, the Nokia Lumia 930 beats all of its competitors, even including the iPhone 5s and the Google Nexus 5. Its large battery in combination with the low power consumption works out, and it does so even during real-life use: Taking the Nokia Lumia 930 with us on a day trip to the city, constantly checking for messages, making some calls and playing some games, we were still left with battery levels of around 30% in the evening. 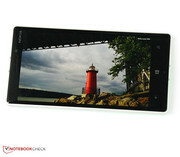 Once again, a new Lumia smartphone of the 900 series comes along with a complete reboot in terms of design. Still, this is not the only aspect where (useful) changes have been made. The Finnish smartphone maker, which has recently been acquired by Microsoft, has managed to produce a highly impressive smartphone (from the moment we laid eyes on it) that not only competes for the top spot of Windows Phone devices, but also manages to stand its ground against high-end Android devices or the iPhone. 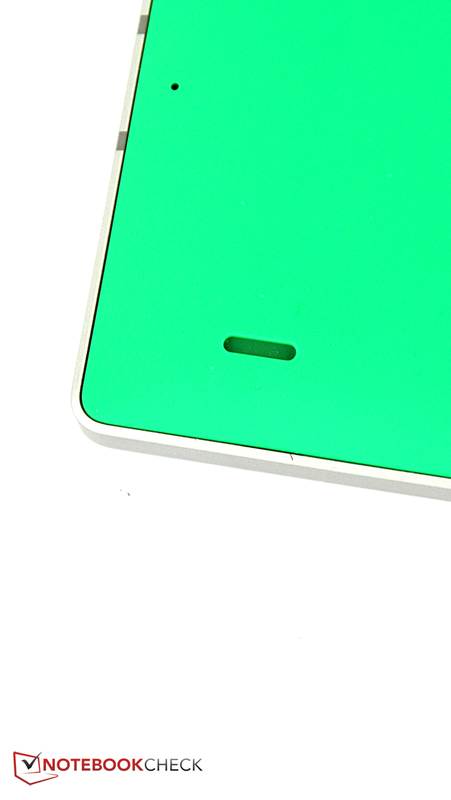 And while the back panel made from plastic may not quite be on par with an iPhone 5s or the HTC One M8, our overall impression of the chassis of the Nokia Lumia 930 was very good, especially in terms of its superb build quality: A metal frame, curved glass and a variety of colors turn this case into a beautiful, sturdy and individualized thing. The weight may be above average, but the handling does not suffer, and even better, the Lumia 930 allows for more maintenance options. Finally! 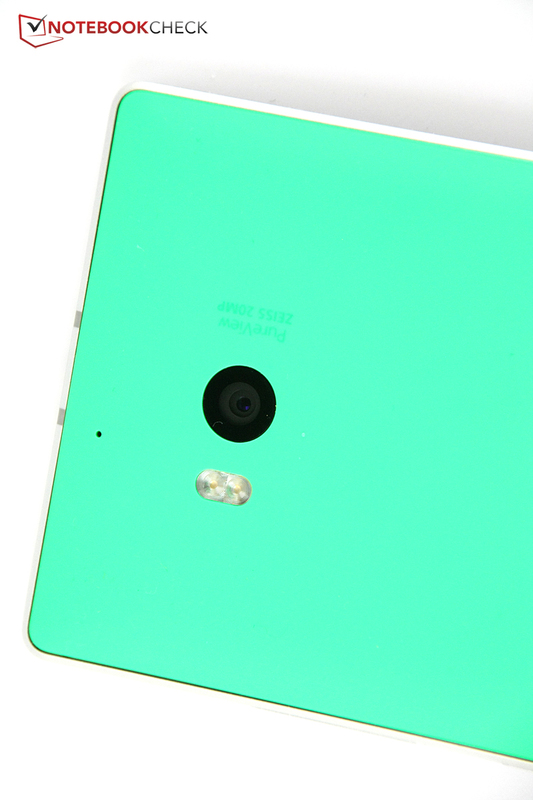 That is what we said, repeatedly, when we read the specs of the Lumia 930. Finally Full HD! Finally a powerful SoC! However, an SD card reader is still missing (and we do not know why Nokia does not want to offer one), although 32 GB of flash memory should be enough for many (but not all) potential customers. Fortunately, Nokia ships the Lumia 930 with a lot of nice extra such as the Nokia Mix Radio, allowing the user to stream music for free. Reception quality of all modems is good, as is the camera and the touchscreen - not only being precise, but also sensitive enough to be used while wearing gloves. 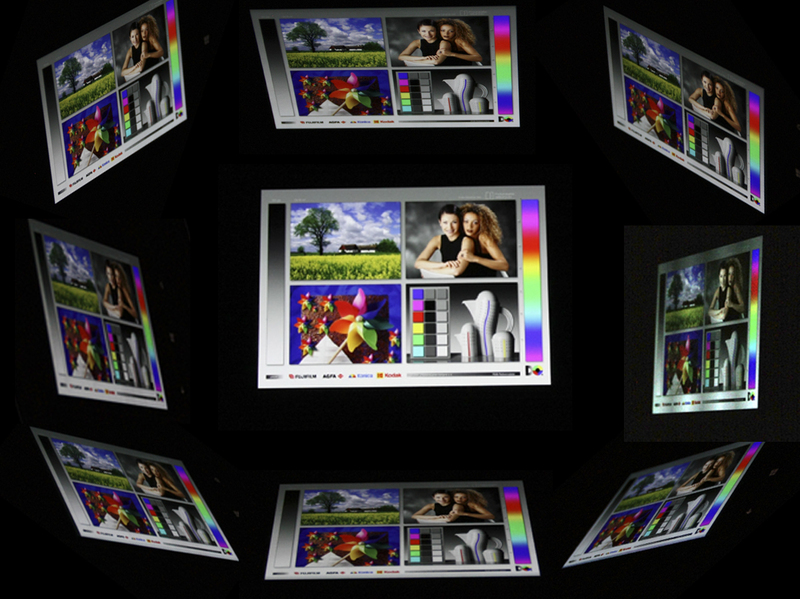 While the display may show some weaknesses in terms of color rendition and brightness, it is still readable even under rather bright ambient lighting conditions, offering a superb contrast ratio thanks to the underlying OLED technology. And then there is the phenomenal battery life. Yes, heat emissions are still an issue, although it is not quite as bad in real life (e.g. when gaming) as one might expect by looking at the measurements. And yes, a headset is almost a must-have accessory when shipping such a high-end device. And yes, Windows Phone 8.1 still draws more power than Android or iOS. That being said, the Nokia Lumia 930 remains an excellent smartphone, drawing attention while making no huge mistakes. It can also be customized in many ways, ranging from the equalizer to the color rendition of the screen. A free navigation software, the many improvements of Windows Phone 8.1 and the improving app situation help to make the OS ever more attractive. The great (free) apps and all this customizability (in terms of sound and colors) improves the overall rating by one percent point. Those thinking about making the jump to Windows Phone will rarely have had the opportunity to own such an attractive device. Likewise, those who are already sold by the OS will be able to purchase a great new high-end smartphone for an affordable price. 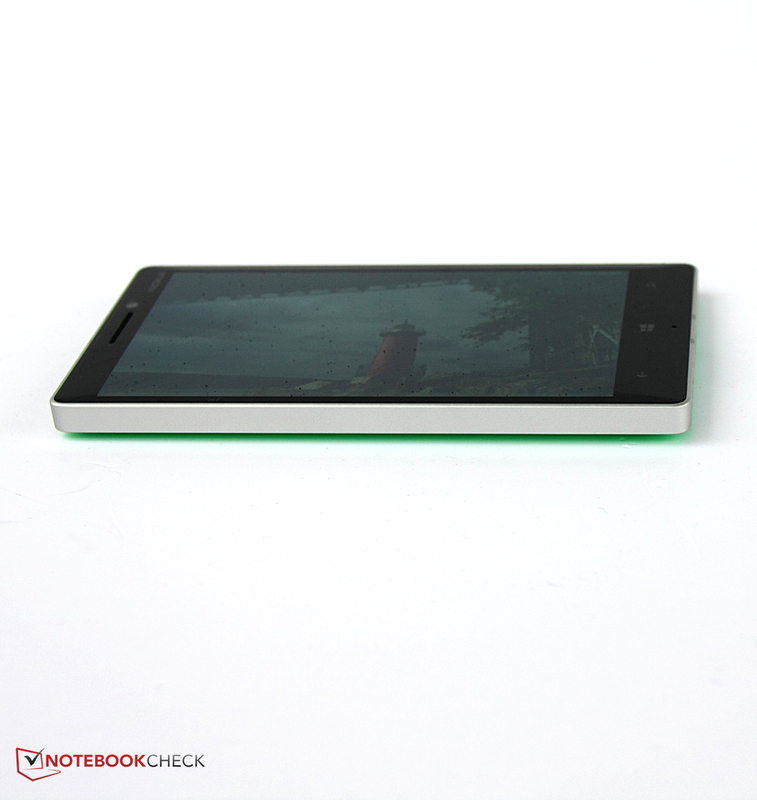 In review: Nokia Lumia 930. Test device provided by Nokia Germany. 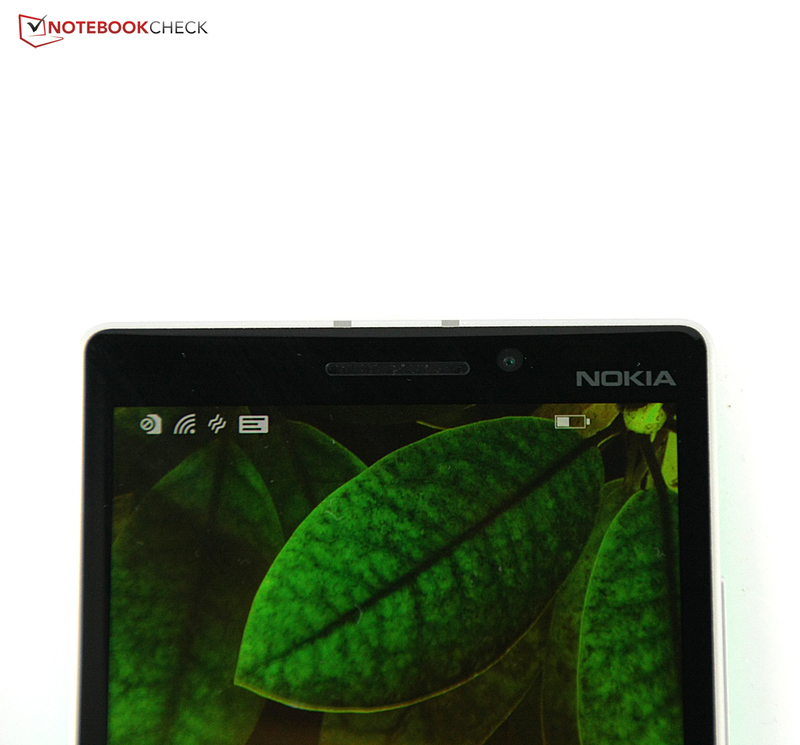 Once again, the Nokia Lumia 930 is easy to distinguish from its predecessors. But that's a good thing: The new chassis looks great. The rear panel can be had in several different colors. While this panel may not quite be top notch, overall build quality is very good. 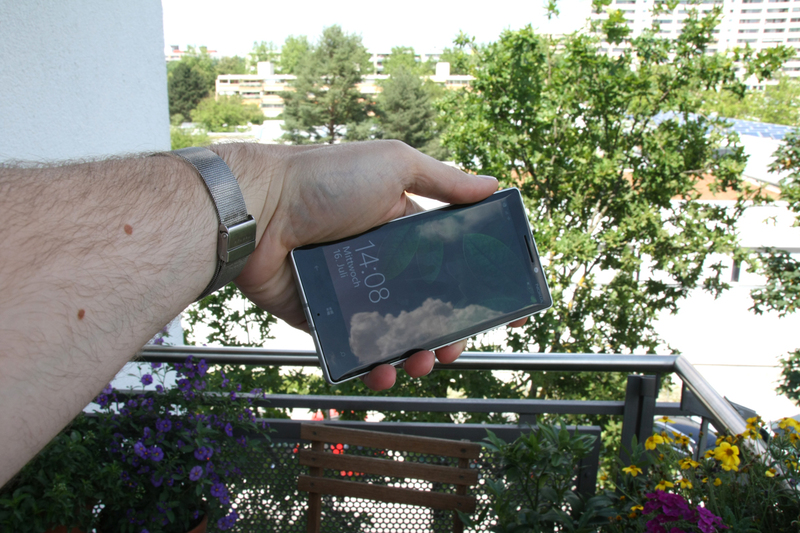 Plus, the Lumia 930 is an incredibly sturdy device. The speaker (at the rear) does its job very well. As does the high-quality camera (20 megapixels). 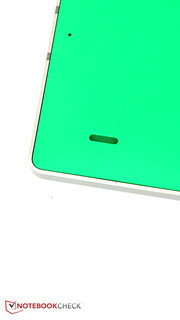 The SIM card flap - inserting the card might test one's patience though. This time, we are very fond of the display. But also the great contrast ratio and the deep blacks are very satisfying. Color accuracy is not its greatest strenghts, making this no pro device. The keys at the side could sit tighter, but they offer precise feedback. Also precise: The curved touchscreen. 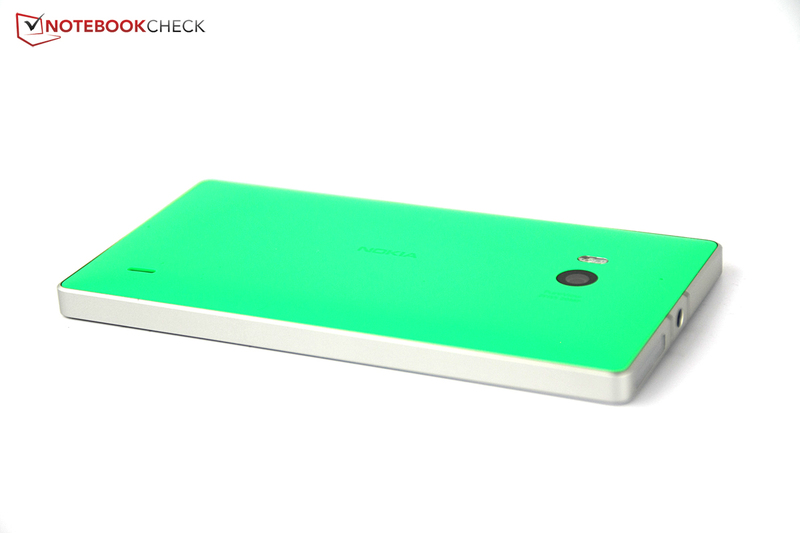 A colorful as well as fine first impression of the Lumia 930. 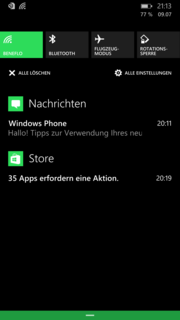 The notification center is one of the most important new features of Windows Phone 8.1. While other improvements may not be quite as important, they are at least mentioned. 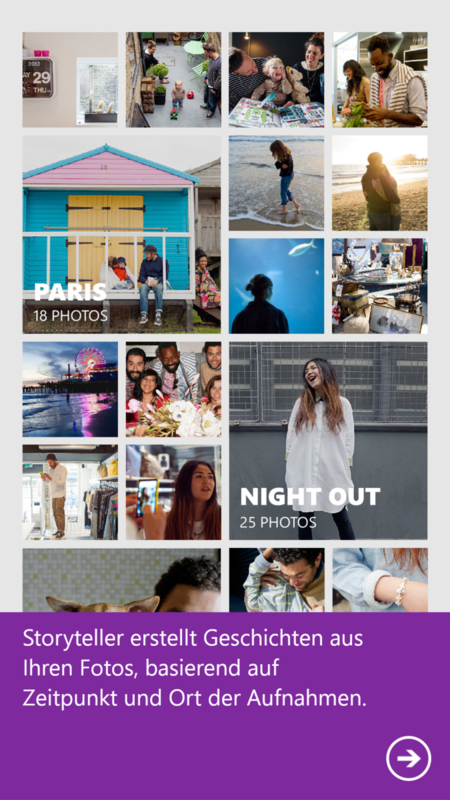 Nokia ships the Lumia 930 with a number of apps meant to improve photos or to bundle them into stories. 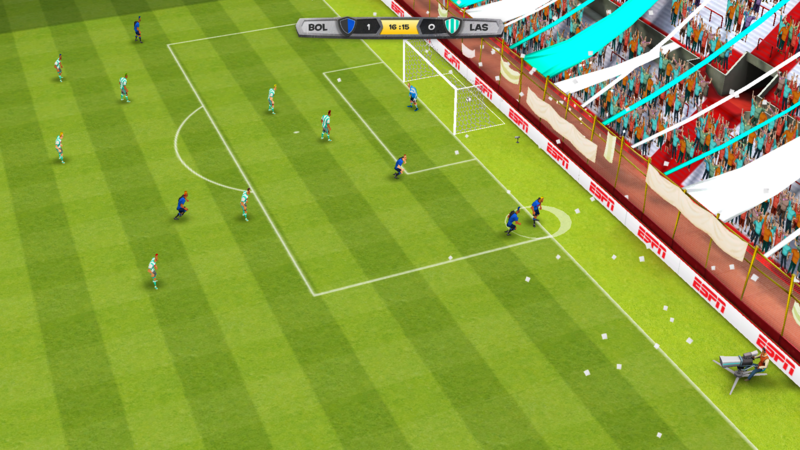 There is also an equalizer. 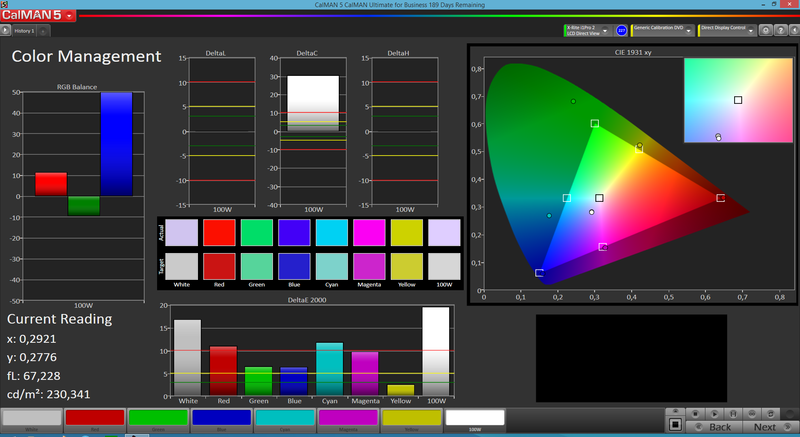 And the color values of the screen can be adjusted. The touchscreen is sensitive enough to work with gloves as well. 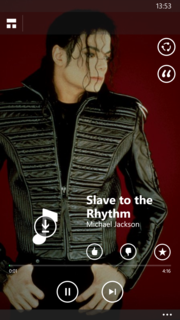 Nokia Mix Radio allows one to choose a performer, yielding similar music. A blurring filter is just one of the many photo editing options. 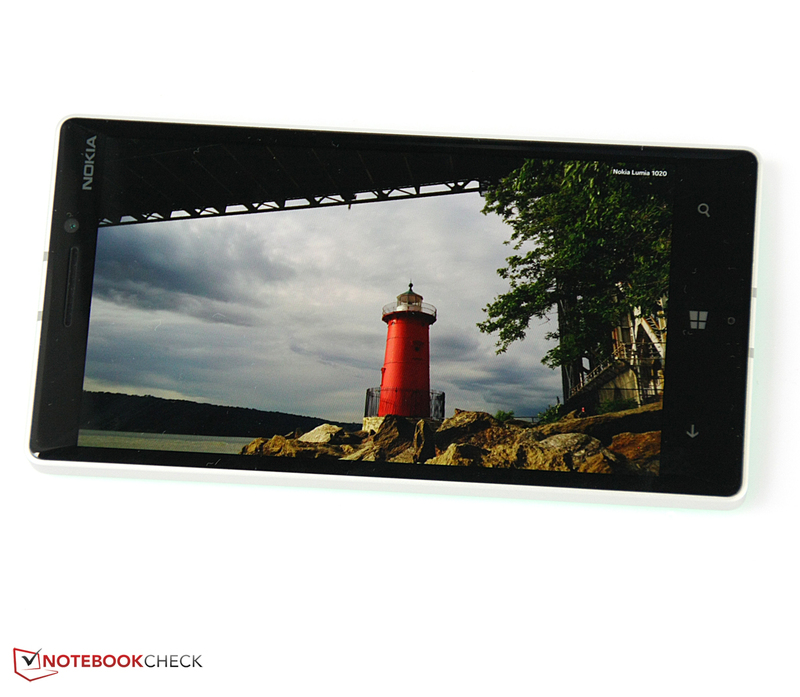 The Lumia 930 is also well-suited to playing games. We didn't find a single game that didn't run smoothly. The brilliant screen. Finally Full HD! 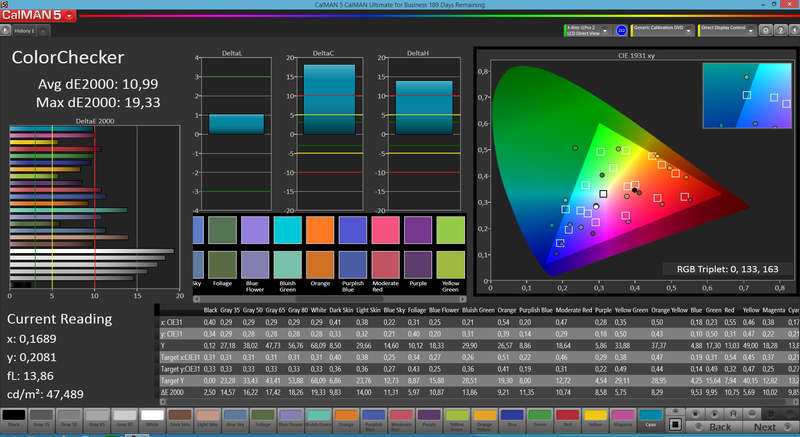 While the colors can be adjusted manually, color precision is not perfect. Third(-gen) device, third completely new design. Then again, this time we like it a lot. Nokia Lumia 925, HTC 8X, Samsung Ativ S, Apple iPhone 5s, Google Nexus 5, HTC One M8, Sony Xperia Z2, LG G3.